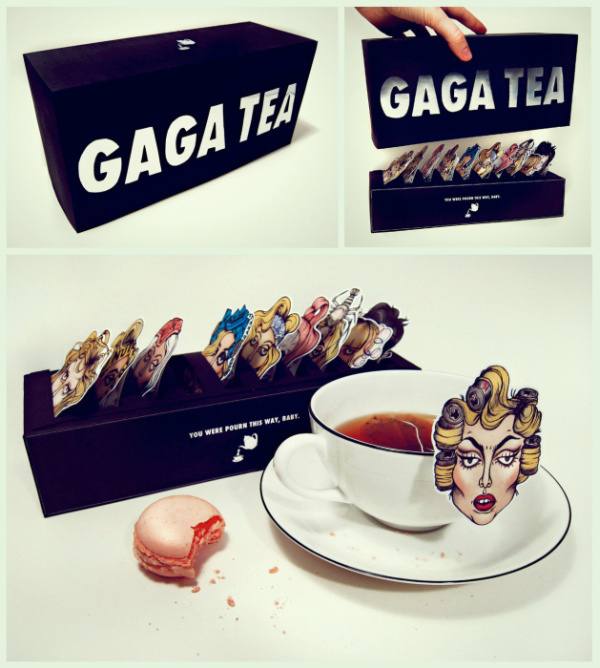 These are items that blur the line between want and need. 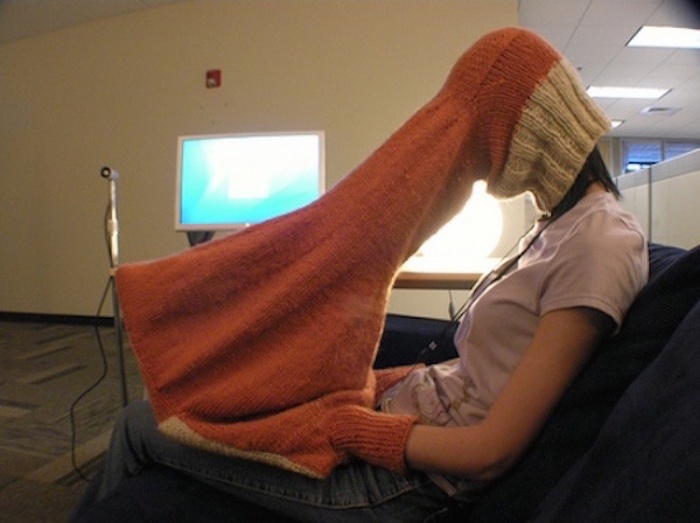 A cozy private laptop viewer so that nobody can see what you're really looking at. A vest with a built in game controller so you can simultaneously play games and give someone a massage. 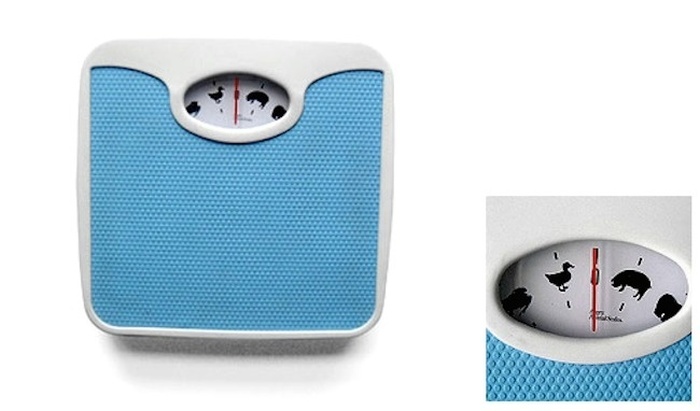 A weighing scale that gives you an approximate weight amount by telling you which animal you weigh the same as. 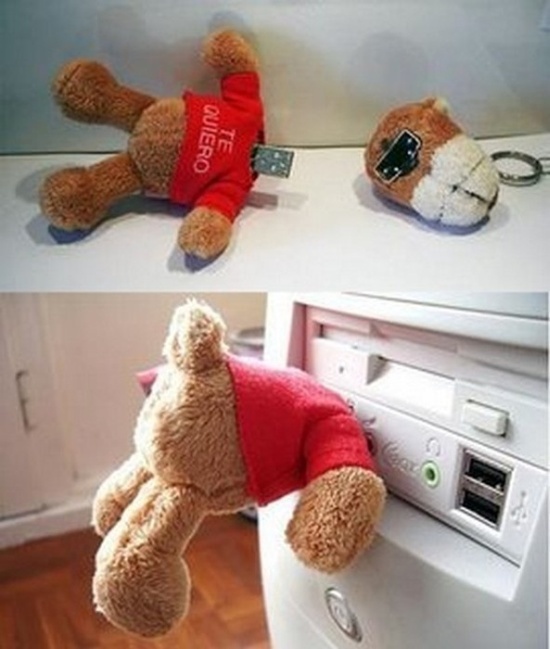 A USB in the best disguise ever. 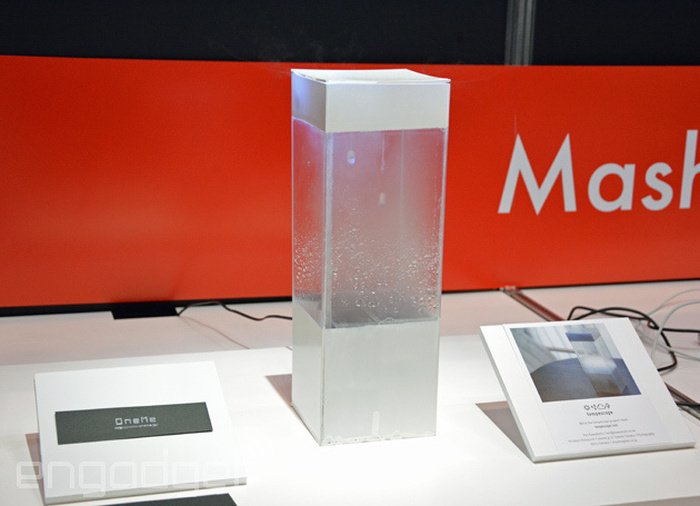 The Tempescope is a weather prediction device that shows you what's happening outside by recreating it in a tiny box. 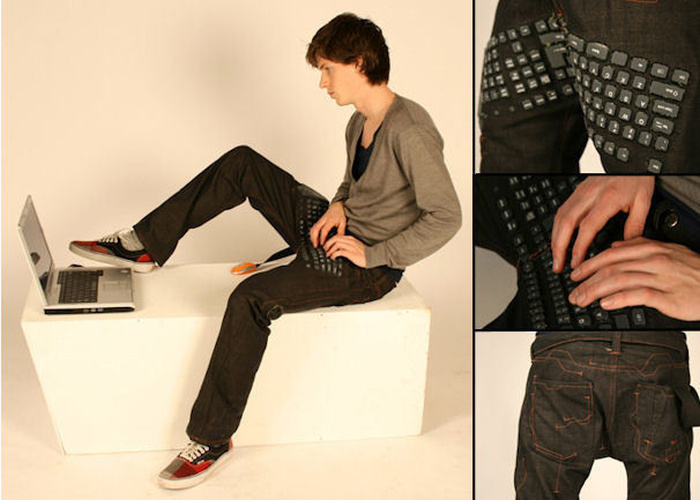 Never have to carry around a keyboard again. 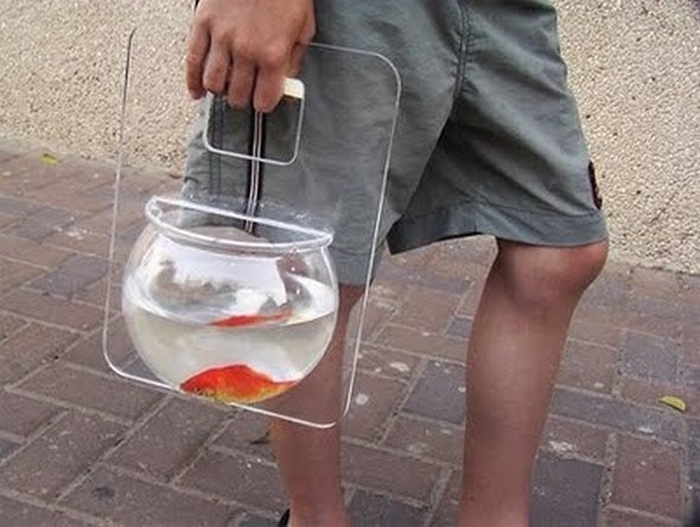 Now you can take your goldfish everywhere with you! 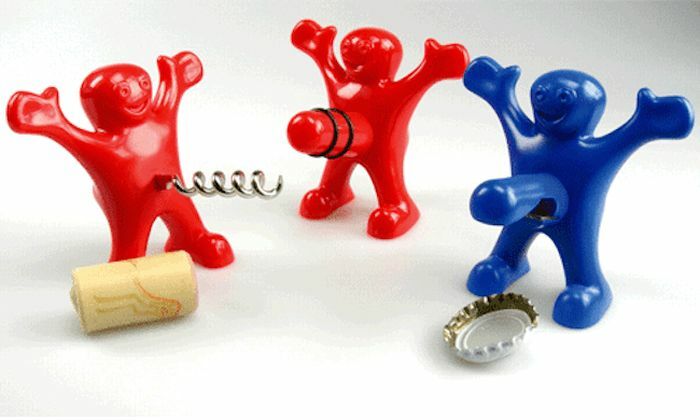 The happy men who are happy to help you plug your wine bottles. 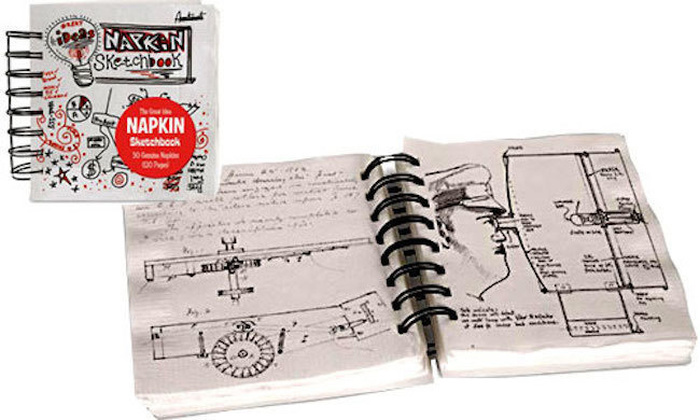 A sketchbook made out of napkins. 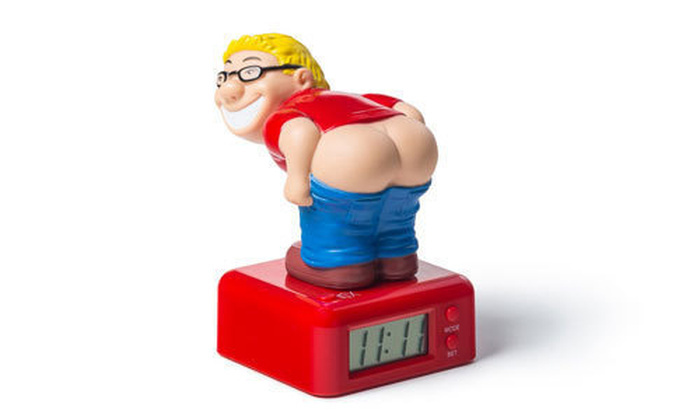 An alarm clock that wakes you up with the sound of a fart. A headband that gives your head massages. 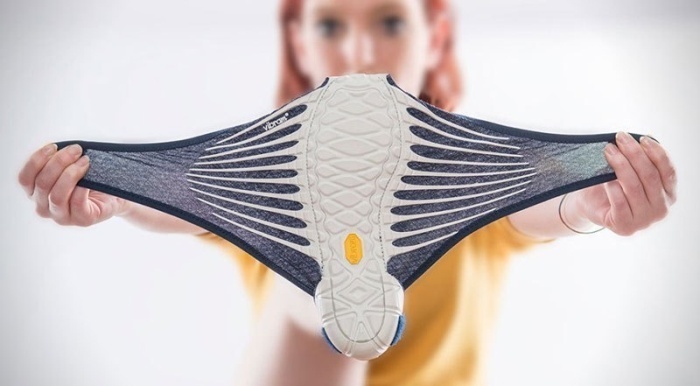 Origami shoes by Masaya Hashimoto. 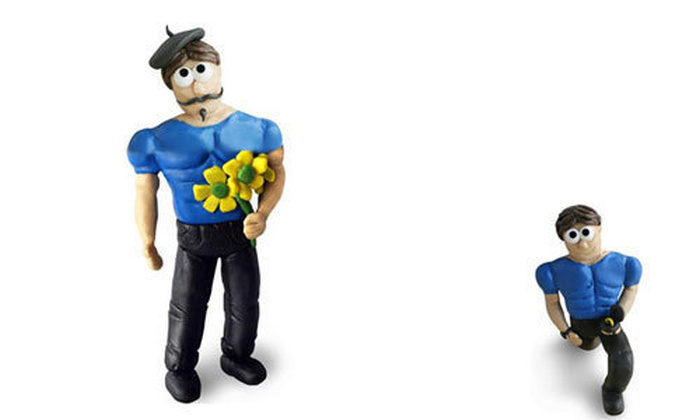 Use this sculpting kit to create your perfect boyfriend. 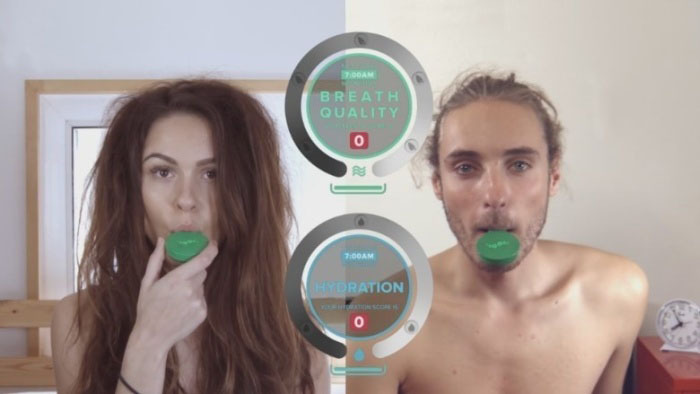 A hygiene breathalyzer that'll let you know if you need a mint or to brush your teeth. 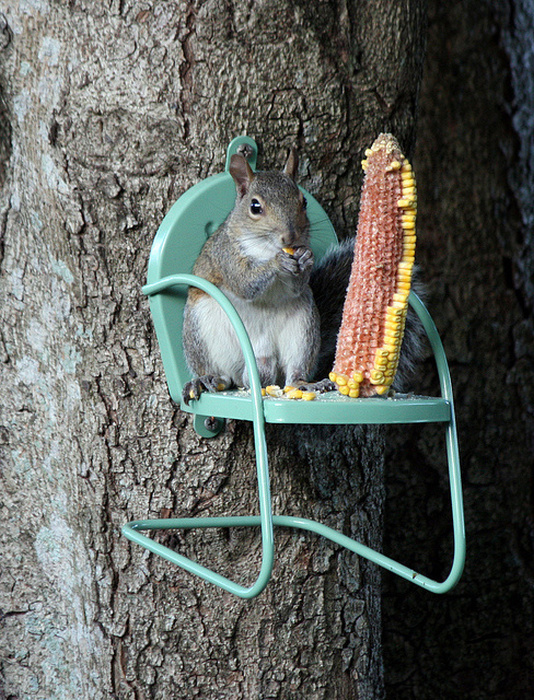 A miniature retro chair you can attach to trees for squirrels to lounge on. 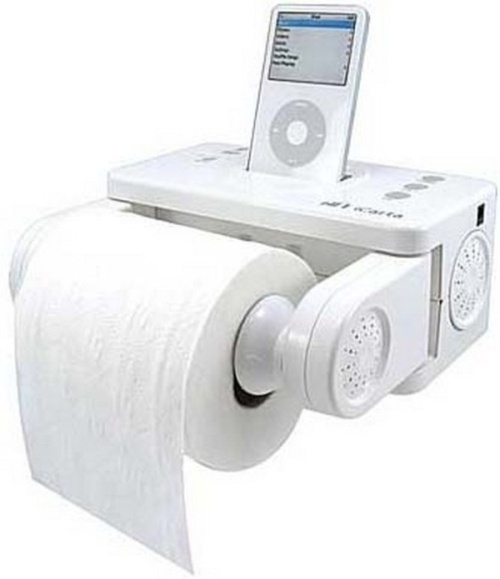 A toilet paper/iPod holder so you can listen to some tunes while doing the #1 or #2. 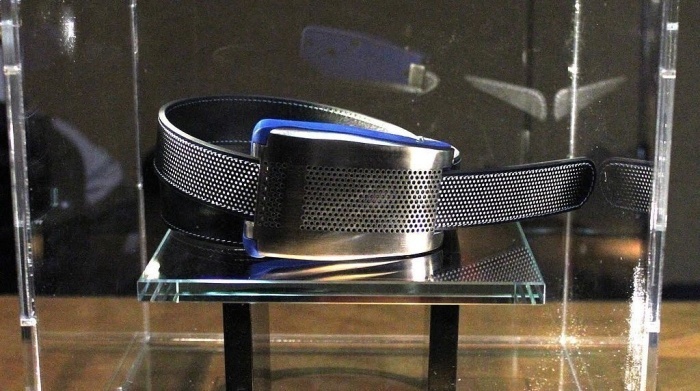 A smart belt that lets you know when you're gaining weight and it's time to either slow down on your meals or visit the gym. What you need? 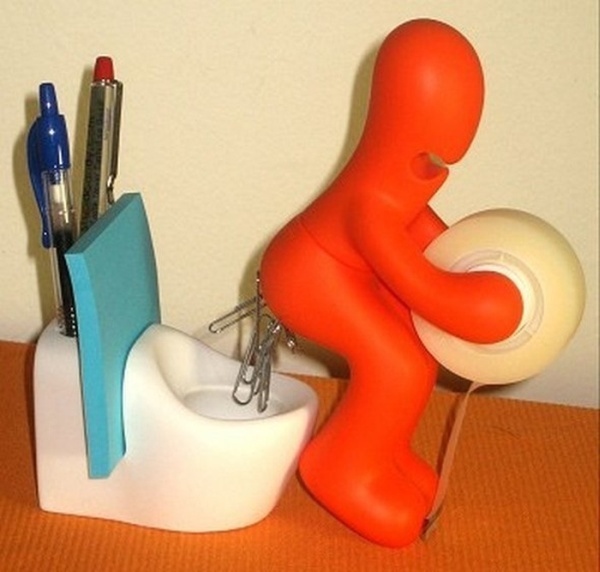 A pen, post-it, paperclip, tape - I got it all. A battery operated toy that let's you pop bubble wrap endlessly. 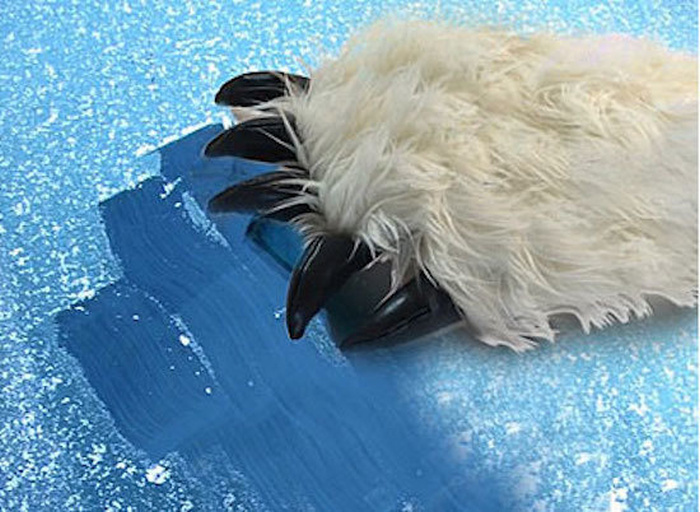 Because why scrape ice with a plain scraper when you can use a yeti hand? 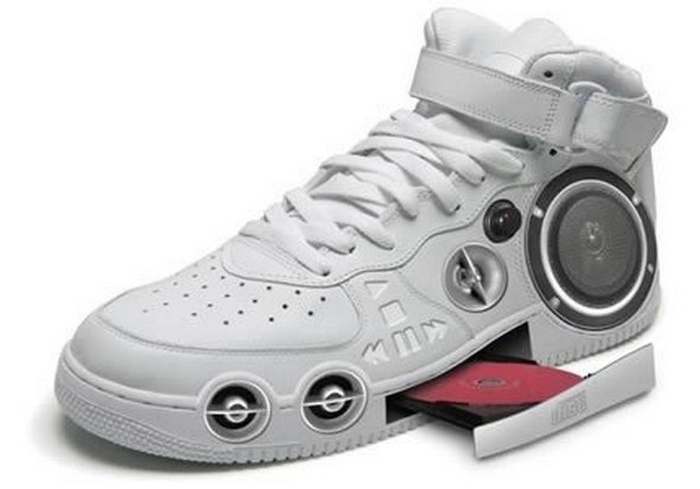 A sneaker with a built in CD stereo so you can have jams coming out of your steps. 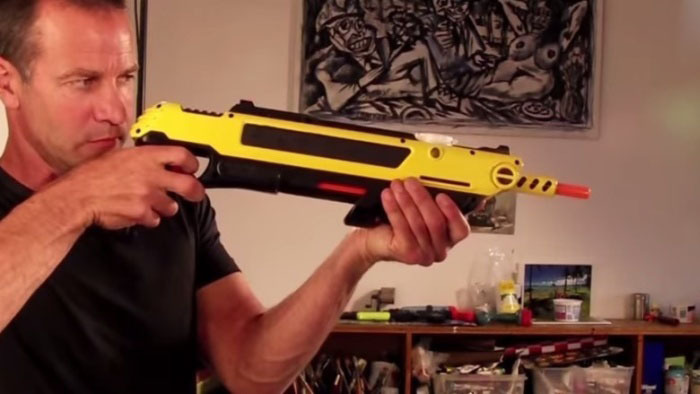 A plastic gun that allows you to shoot unwanted bugs with salt. 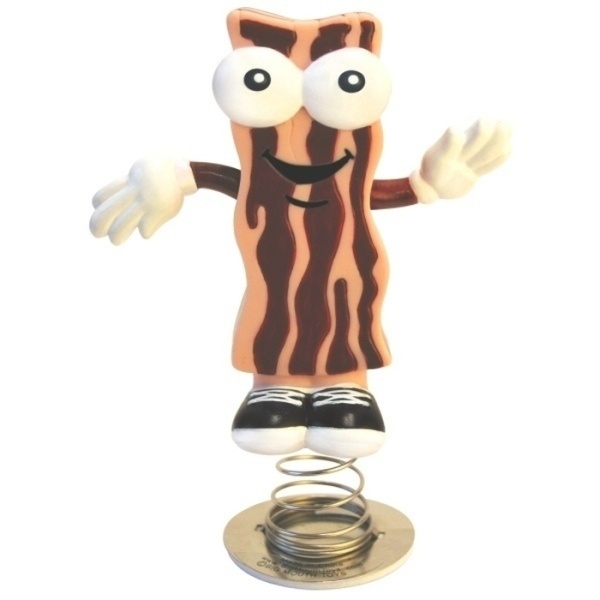 A bacon dancer for your dashboard. This is actually quite brilliant. 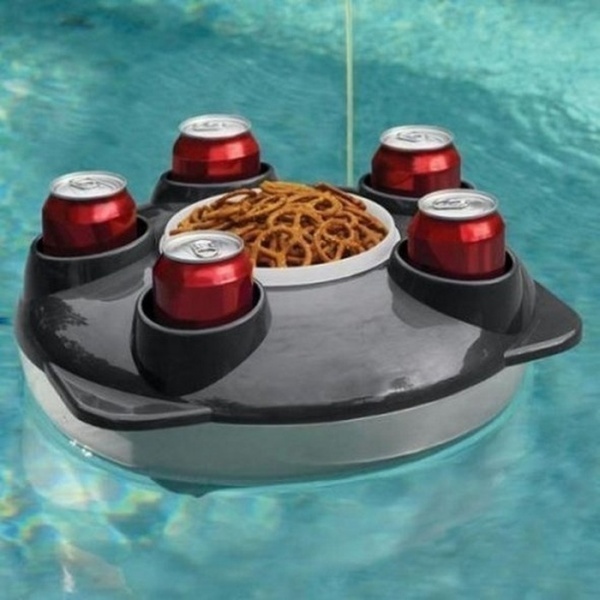 The perfect addition to a relaxing day at the pool. 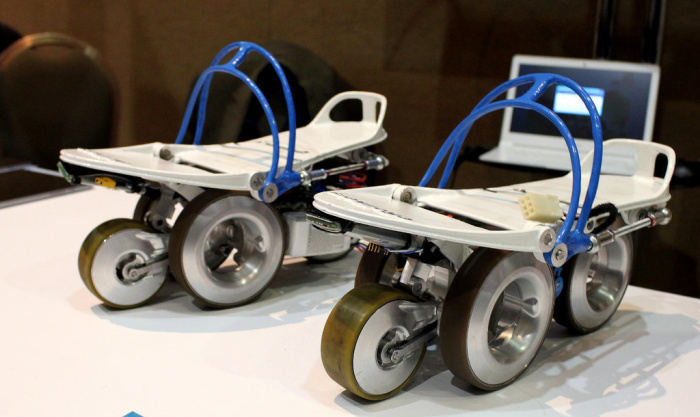 These would be a little cooler if they were what they looked like - skates. 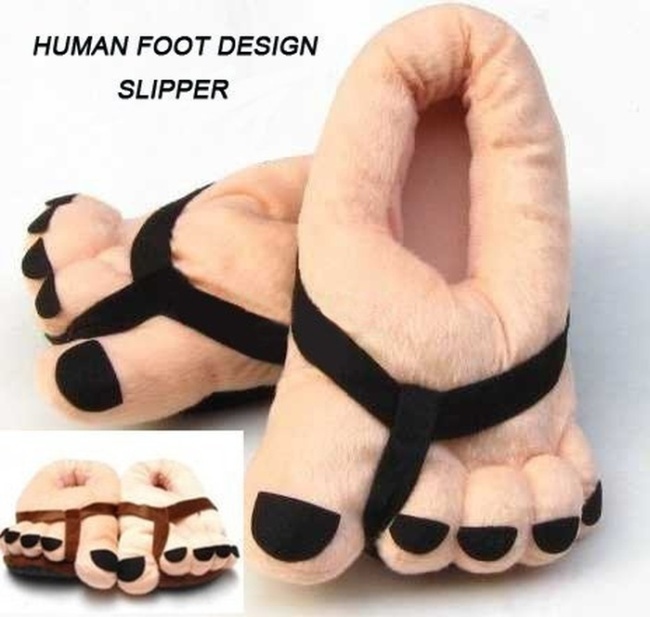 But instead, they're for walking, meaning you have to take actual steps with these contraptions on. 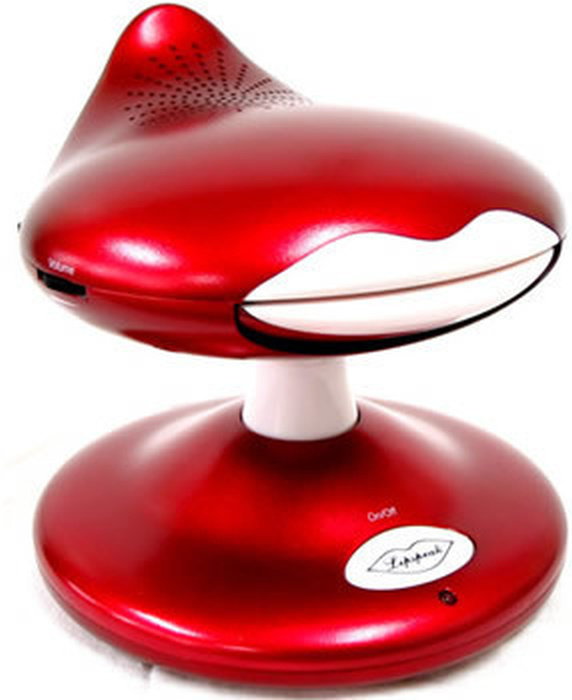 A hands-free speaker meant to be connected to a landline or mobile phone that shows animated lips that move in sync with whoever is on the other end of the line. 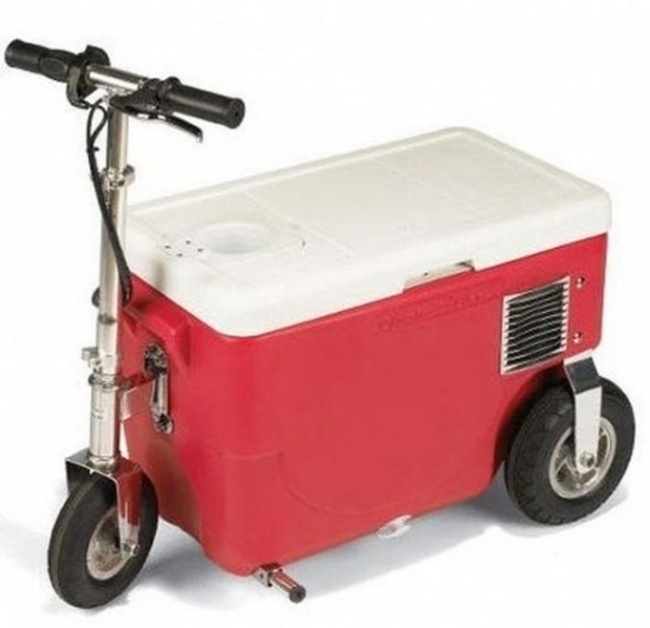 What's more badass than a unicycle? 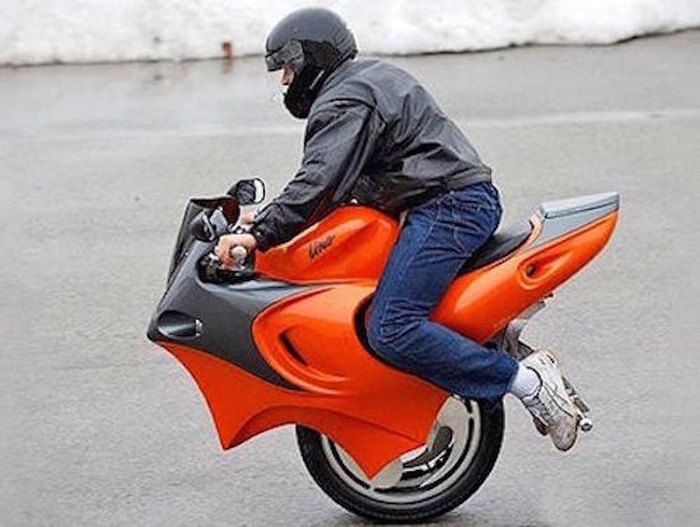 A uni-motorbike.